Often money and wealth will come as a by-product of some other goal that we seek. If you set money as a target you may well not get it. 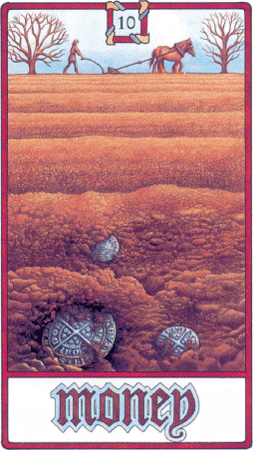 The Money Card tells us to regard money in our lives as energy, as something live and volatile like gasoline. It is an empowering tool. At other times money becomes an end in itself and is destructive. It can clog up and muddy your psyche.